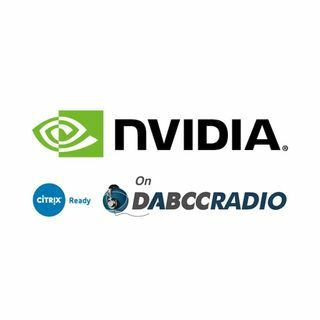 In episode 310, Douglas Brown interviews Jared Cowart is the technical product manager for virtual GPU software solutions at NVIDIA and Sagnik Datta, Technical Marketing Specialist at Citrix Ready. Together we discuss the what NVIDIA means for Citrix, EUC. Jared explains why they we need a GPU, how it works, why we should care, a bit about AI and so much more! We have a lively conversation and a lot of fun talking EUC! A must listen to podcast! Jared Cowart is technical product manager for virtual GPU software solutions at NVIDIA, and is responsible for the NGCA program. Jared spent four years in the field as a solution architect for NVIDIA, and more than 20 years working within the virtualization industry supporting customers, partners and product teams. He currently supports the virtual GPU software team with product strategy, validation and evangelism. He works closely with the community to provide early access and obtain community feedback to help build better products. Sagnik Datta is a Technical Marketing Specialist at Citrix Ready. Sagnik work with Citrix alliances and supports large partner ecosystem (1000+) to help customers make better purchase decision through Citrix Ready Marketplace – http://citrix.com/ready. Major focus in partners product segments such as Thin Clients, 3D CAD ISVs, Printers, Converged, Hyper-Converged, Storage and Servers solutions integrated with XenDesktop, XenApp and XenServer. Responsible to drive vertical industry based applications and solutions, working collaboratively with cross teams in Product Management and Alliances. Day to day activities include supporting partners with technical integration queries, creating test tool kits for partners to easily integrate their solutions with Citrix products, testing solutions to make them Citrix Ready, hosting joint webinars that generate leads for partners, podcasts, creating white papers and technical blogs for Citrix sales teams, customers and wider community etc. Citrix Ready identifies recommended solutions that are trusted to enhance the Citrix Delivery Center infrastructure. All products featured in Citrix Ready have completed verification testing, thereby providing confidence in joint solution compatibility. Leveraging its industry leading alliances and partner ecosystem, Citrix Ready showcases select trusted solutions designed to meet a variety of business needs. Through the online catalog and Citrix Ready branding program, you can easily find and build a trusted infrastructure. Citrix Ready not only demonstrates current mutual product compatibility, but through continued industry relationships also ensures future interoperability.